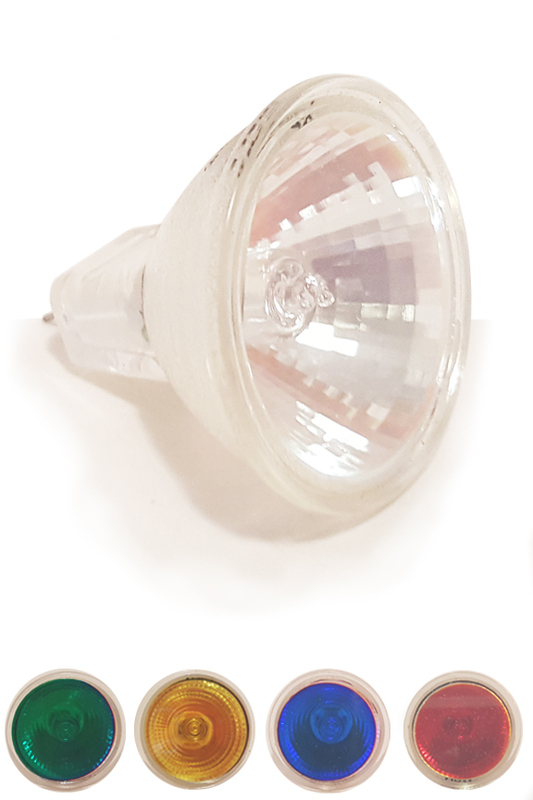 A high quality replacement bulb for decorative, directional lighting applications. This halogen bulb is a direct replacement for the one included in a fountain we carry, but the same model can also be found in track lighting, recessed fixtures, accent lights, desk lamps, pendants and other similar fixtures throughout your home and workplace. The MR11 in its name refers to the overall size and shape, but also the multifaceted reflector that surrounds the bulb. It has two metal pins at the base that insert to connect it in place, and there's a groove on each side that allow it to lock into position. 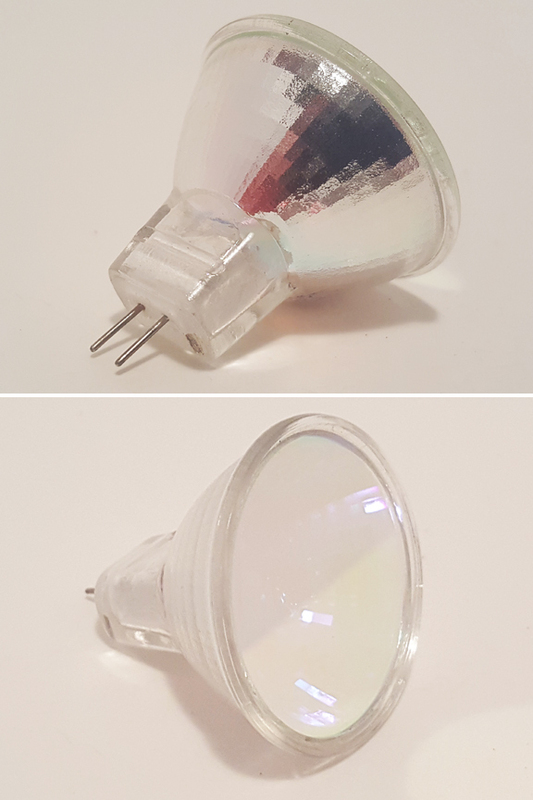 A glass lens cover helps to protect the bulb, but it also allows you to choose the color of light that you prefer. Stick with the regular white colored lens for a warm, clear glow, or choose red, blue, green or yellow for a colorful accent in any area that it shines. High quality construction ensures long lasting performance, and a vibrant glow. 12V 5W. Available in Blue, Green, Red, Yellow or White. Glass cover for protection and improved look. Rated for 2000+ hours of use. Dimensions 1.3" x 1.3" x 1.5"
Color Your Choice: Blue, Green, Red, Yellow or White. A replacement bulb available in a vasriety of colors. Long lasting halogen bulb provides a bright, colorful glow. Order Yours Today! Complimentary Part For Use With Mist Makers.